Better ball control drills and skills to help players move towards achieving 10,000 hours of touches on the soccer ball. Hard work, time and dedication is the recipe to master and manipulate the ball in the ways that we see players do on TV. No shortcuts, no excuses, just hard work and consistency with different soccer activities. 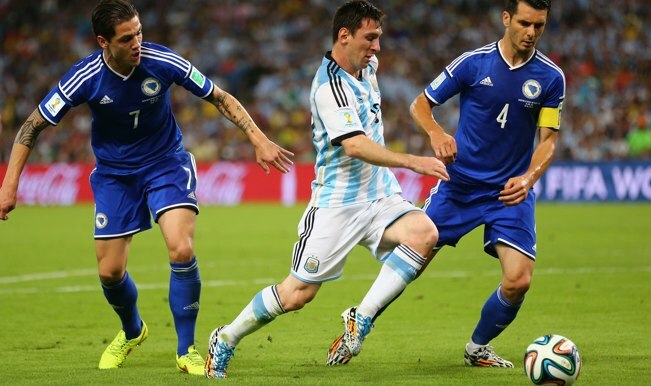 Ball control drills will concentrate on getting the most touches on the ball. 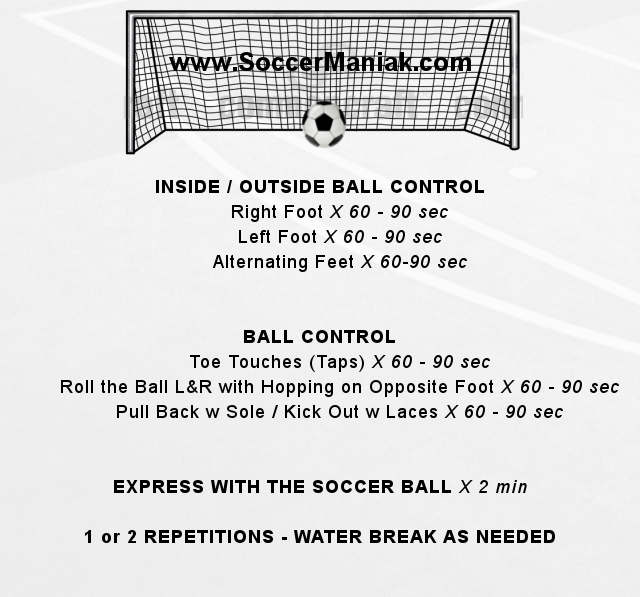 Players and coaches can use, or adapt these soccer drills for training and developing ball control with the soccer ball. Players have to work hard, and can take water breaks as needed. Always start training with 10-15 min of juggling the soccer ball, and than move on to more touches on the ball. Juggling the soccer ball is one of the simple better ball control drills allowing players to build a better relationship with the soccer ball, and have fun. Control the soccer ball in a zig zag motion across the body for 60 - 90 sec. Use the inside and outside of the right foot. NO STOPPING! Control the soccer ball in a zig zag motion across the body for 60 - 90 sec. Use inside and outside of the left foot. NO STOPPING! Control the soccer ball in a zig zag motion across the body using the inside and outside of both feet for 60 - 90 sec. NO STOPPING! Roll the ball left and right while hopping on the opposite foot. Pull the ball back with sole of the foot, kick the ball out with laces. Dribble the ball with freedom to experiment and try different skills with the ball. Keep the pace up to maximize touches and creativity with the soccer ball. FAST PACED, NO STOPPING, FREESTYLE with the BALL for 2 minutes! When doing the Inside/Outside Touches move the soccer ball in a zig zag motion, across your body, rather than kicking the ball forward. Stay on your toes. Its a great habit to make you lighter and faster on your feet. Quick touches and ball movement. Beginner players SLOOOOOW DOOOOWN to learn the technique; speed will come after. As you get more familiar with the soccer ball, lift your head up and be aware of your surroundings as you perform the exercise. TIME EVERY SOCCER EXERCISE 60 - 90 SEC, OR LONGER.